Hurricane Sandy taught us a valuable lesson as to the importance of sand dunes. We have learned that the devastation was greatest where dunes were not present or established. 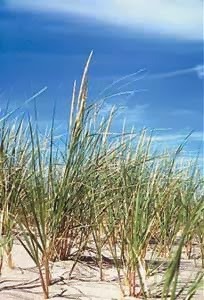 When constructing dunes, here are a few plants to keep in mind in the Northeast. Ammpohila breviligulata (Cape American Beach Grass) – This grass is found native to dunes on the east coast from Maine to South Carolina. It spread mainly by rhizomes rather than seed. Its overall height stays at 2-3’ for those concerned with blocking their view. Can be planted in the winter as a bare root culm or an extended planting season by a 2” plug. Morella pensylvanica (Northern Bayberry) – A semi-evergreen shrub that will get 5 to 6 feet tall. It can get larger in milder conditions. It stabilizes soil well due to its colonizing nature. Berries are used to make candles. Panicum amarum (Coastal Panic Grass) – This warm season grass roots deep to help hold your dune. It can get 5’ tall so although it may obstruct your view it will protect your investment. 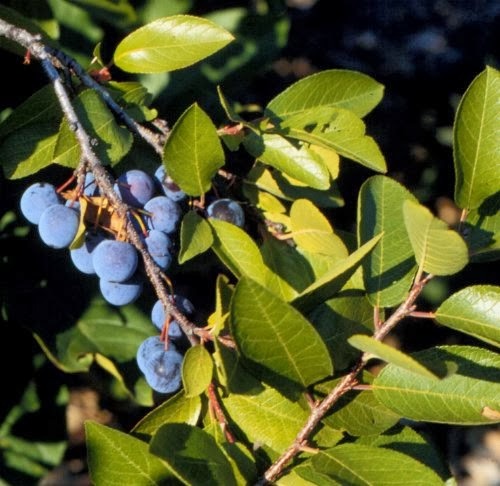 Prunus maritima (Beach Plum) – This large shrub will not only survive in sandy conditions but it offers a fruit that makes a delectable jam. Solidago sempervirens (Seaside Goldenrod) – This yellow flowering perennial flowers from August to November adding color to your planting. We always suggest viewing natural dune and beach systems for suggestions for restoration. Although there may be non natives that seem to fill a need remember that plants like Miscanthis sinensis have proved to be invasive overtime.